NEW YORK CITY: Bowker, the official ISBN agency for the United States, has announced today at O’Reilly Tools of Change for Publishing Conference (TOC), a new partnership for e-book conversion with New York’s Data Conversion Laboratory (DCL). 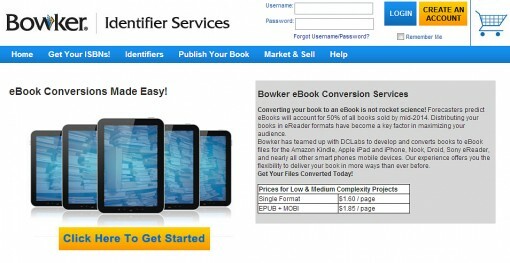 Bowker and DCL representatives said the intent of the new Bowker eBook Conversion Service is to “streamline the process” by which entrepreneurial authors produce ebooks, providing them not only with high quality format conversions of their work but also with ISBN identifiers for each formatted edition of a book. By “strings attached,” Gross was referring, in part, to ebook production services that require an author’s property be sold exclusively through one retail channel or another. Beat Barblan, Bowker’s Director of Identifier Services, pointed out that “for many authors, Bowker is the first stop,” as writers buy ISBNs, or International Standard Book Numbers, by which Bowker Research and other entities track and catalog the book industry’s output. Allowing for the fact that many self-publishers don’t attach ISBNs to their books—making it all but impossible for Bowker and other services to get hard figures on new production numbers (See Ether for Authors: Can We See You?) — the visible e-book production in 2011, Bowker reports, was 87,201, up 129% over 2010. Print, while still selling more strongly than ebooks, grew in the same period, 2010, by only 33%. “We searched for a reliable service that would enable our customers to retain ownership of their content,” Barblan in a prepared statement. 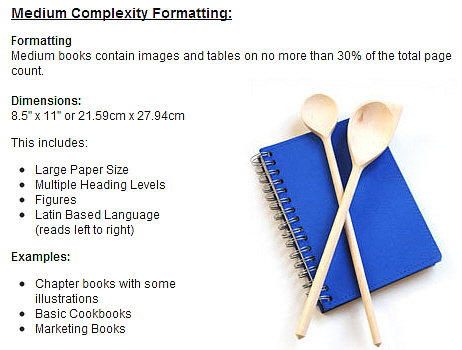 For EPUB and .mobi files of low and medium complexity, the listed rate is $1.85 per page. 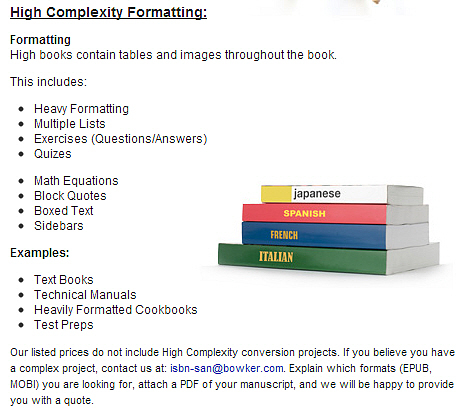 For projects deemed high complexity — needing elements such as sidebars, block quotes, tables, multiple lists, question-and-answer exercises, quizzes — pricing will depend on the features required and will be negotiated with the author on a case-by-case basis. His company, based in Fresh Meadows, New York, near John F. Kennedy International, works in textbooks, legal and research references, and periodicals. But like many other providers of publishing services to corporate clients, DCL has wanted, Gross said, to reach the growing market of entrepreneurial authors who are now handling their own publication. You can live stream TOC’s inaugural Author (R)evolution Day conference-within-a-conference. The live stream of the day’s events runs to 5 p.m. ET / 2200 GMT.